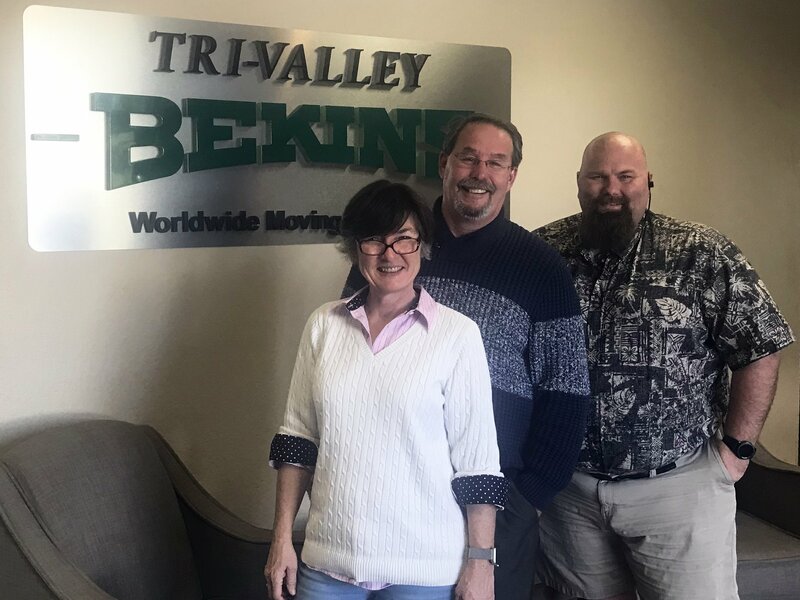 When you are looking for a professional mover in The East Bay and Tri-Valley area, look no further than Bekins Moving Solutions. We are a moving company that takes pride in everything we do. We offer a wide variety of moving services that assist our customers with every aspect of their move from start to finish. From packing supplies, professional packing services, loading, unloading, tracking, logistics, and more, we get you moved! As leaders in the moving industry, Bekins Moving Solutions knows that exceptional customer service is key to a smooth transition. All our employees are well trained, courteous and ready to help families and businesses throughout The East Bay and Tri-Valley area. No one beats the full-service moving offered by Bekins Moving Solutions. We utilize modern, fully equipped moving trucks built to handle big and small moves alike. We have a full selection of packing materials available for all your packing needs, and can even do your packing for you! Our high quality long distance moving services are unmatched in the industry. With a wide network of agents and offices we can get you moved across the street, country or around the world! All items must be packed and ready to go before we arrive. Should you need help, Bekins Moving Solutions has packing services available. We can also supply packing material and help you with as much or as little packing as you desire. Since the loading process can be a bit hectic and involve a lot of people and open doors, we recommend making arrangements for young children in pets. Since every move is unique, there may be a few other things you need to prepare. Be sure to ask your moving consultant about any other tasks that must be done before moving day. What happens if my new home isn’t ready? We highly recommend your new home be ready to receive delivery during the agreed upon delivery spread. If you find out before your shipment arrives that your home will not be ready, call us right away. More than likely, we will be able to store the items until your new home is ready, but this may come with extra costs. A new delivery spread will also have to be established. Although we at Bekins Moving Solutions do not move houseplants, you do not have to get rid of your houseplants just because you’re moving. You can pack your plants and move them yourself. We don’t move houseplants because they cause a mess and damage other items in the truck. If you don’t want to move your houseplants, consider giving them to a trusted friend or a retirement home. Your friend might appreciate the foliage, and retirement homes are always looking for great ways to brighten up their rooms. Get moved with our movers in the Tri-Valley area. Contact Bekins Moving Solutions today. Call 925-273-3406 or get your moving questions answered on our FAQ page!